Take your change before the introduction of the Weed Card. If you live in one of the neighbouring countries of the Netherlands, it has always been quite easy to buy cannabis just across the border. Unfortunately, due to an amendment of the law this is going to change. 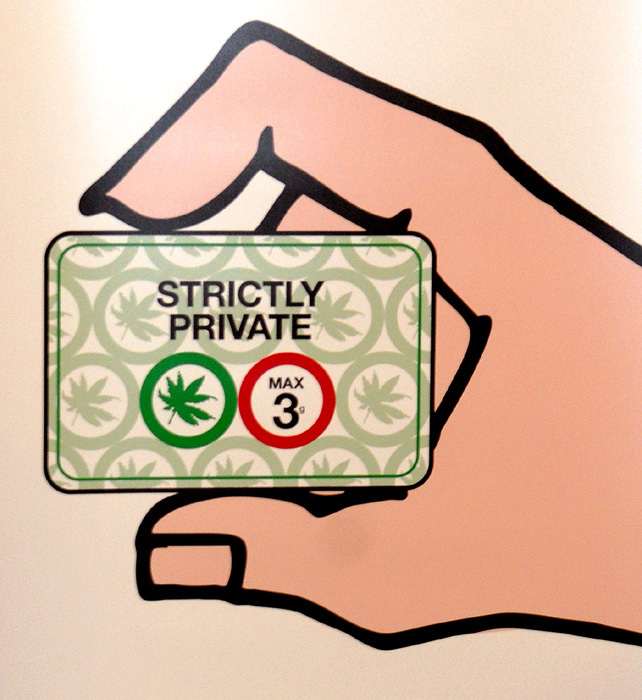 On the first of March 2012 the ‘weed card’ is going to be introduced starting from the south of Holland, which means that Eindhoven is going to take part in this new rule immediately. They will introduce this new rule to prevent drug tourism and to monitor the sales of cannabis. However, like many others we think that this measure is only going to increase the illegal sales of cannabis, which means that more drugs are going to be sold illegally on the street. From what we know now it is not going to be possible to obtain a weed card if you’re living outside the Netherlands. Only foreigners who are living or working in the Netherlands are qualified for this card. Furthermore, during the application foreigners should be able to provide a Dutch sofi-number (Social Security Number) and a copy of their contract of hire. After the introduction of this new rule, people can apply for a weed card in a coffee shop in their neighbourhood. So it will no longer be possible to buy weed outside your district. Moreover, with the new rule people can only buy a maximum of five grams per day. Drug tourism is most likely going to stay and the government will only make it worse by putting a stop on the regular way of selling cannabis. We’re pretty sure that foreigners will still be able to buy cannabis just across the border, but for now it will no longer be in the coffee shops. However, if you want to buy cannabis the easy way, you should take your change and visit a coffee shop without weed card before it’s too late.